The Social Democratic Party (SDP) has categorically stated that it would not support the presidential candidate of the People’s Democratic Party (PDP), Atiku Abubakar, ahead of next year’s elections. This was even as the party said that it has opted out the Coalition of United Peoples Party (CUPP). Recall that the CUPP, which is an umbrella of over 40 political parties, had adopted Atiku as its consensus candidate. 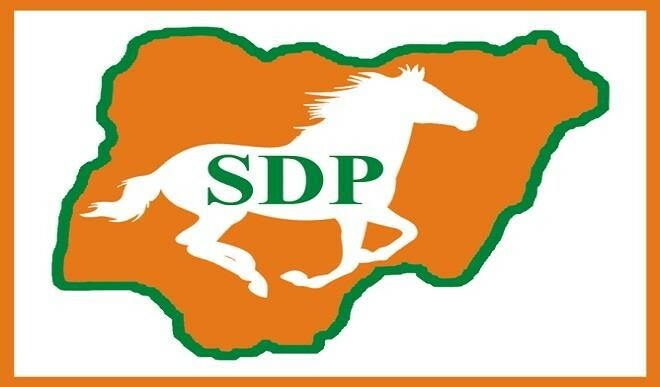 In a statement signed by SDP’s National Publicity Secretary, Alfa Muhammad, on Tuesday, he also blamed the PDP for the failure of the alliance. “SDP has resolved that the emergence of a consensus candidate as reported is unacceptable to it, because it did not follow due process nor did it measure up to the established standard set out and which was assented to by the member political parties of the alliance. “CUPP is mainly PDP driven. The PDP runs it as if others must shape in or ship out; PDP runs timelines to suffocate other parties or to get to a point where events have already overtaken issues; like deadlines at INEC have run out. “The PDP pressed on with its presidential candidate Atiku Abubakar, appointing his running Mate, DG of Campaign and all positions. PDP also displays some form of “ we can do it alone” type of arrogance. “The campaign flag off which will commence with the zonal flag off will have the South East Geo-political Zone as the first place of call next week,” he added.